This year’s event – hosted at the University of the South Pacific (USP) Tonga Campus in partnership with the Faculty of Science, Technology and Environment of the USP Suva Campus, and organised in collaboration with CTA as part of the CTA/IFAD-funded ‘Innov4AgPacific’ project – sought to scale up novel and existing agriculture-oriented ICT innovations. 15 teams from across the Pacific took part in a two-day workshop that provided training across a number of key business development areas – including accessing finance, shaping a viable business model and understanding intellectual property rights (IPR). Preliminary training sessions also allowed teams to refine their pitches, before presenting their innovations to a panel of judges. 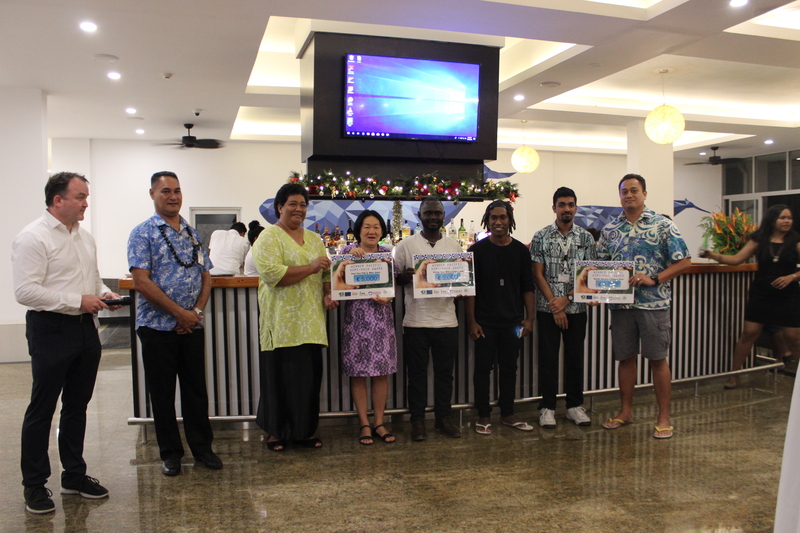 The judging panel for this year’s event was led by Francis Thomsen, CEO of Digical Tonga Ltd., and was comprised of academic, finance and private business representatives. 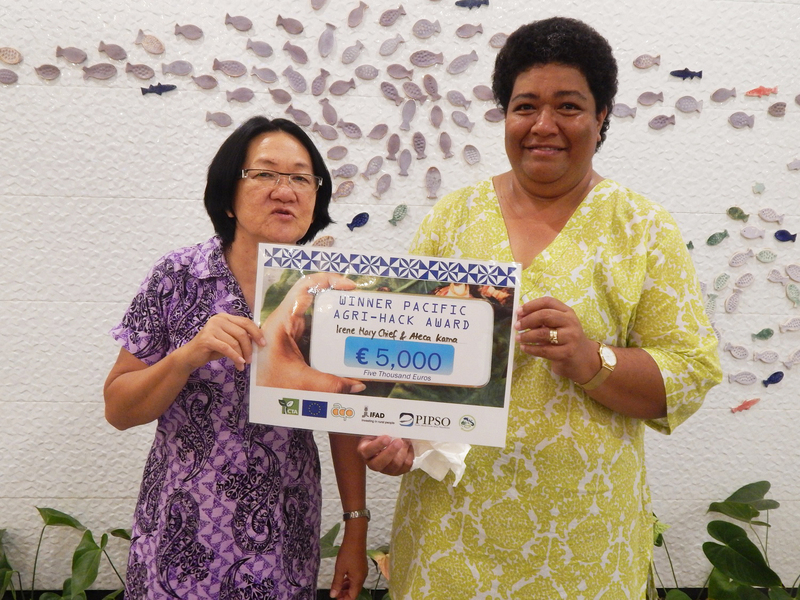 TraSeable Solutions, an established Fijian technology company providing transparency across the Pacific’s seafood sector, entered the 2018 AgriHack Lab with its new ‘TraSeable Farms’ app. The app aims to leverage the company’s experience within the seafood sector, providing a blockchain-enabled platform helping farmers to gain access to better markets for their produce. A collaboration between USP and Fiji’s National Food and Nutrition Centre (NFNC) resulted in the development of the MyKana app, seeking to address the current nutrition crisis across the Pacific. The app provides nutritional information on the food entered by users, placing an emphasis on a balanced diet, rather than a calorie-based metric. “We are working with the USP Centre for Flexible Learning because they have engineers and computer experts, and are represented in 22 countries. We then contribute food and nutrition security expertise.” The organisation plans to use the award in the development of a ‘backyard gardening’ component for the app, which will provide information to users on establishing and maintaining their own garden, to produce and consume nutritious fruit and vegetables. 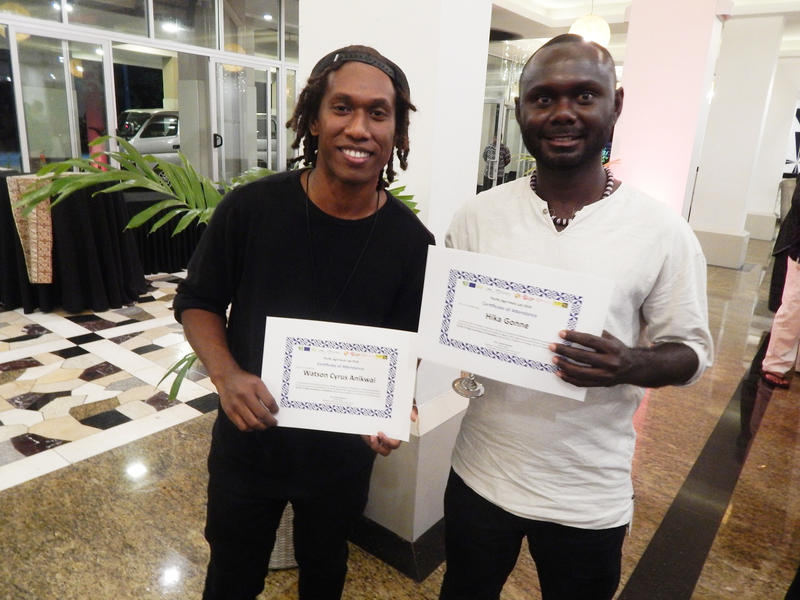 The third innovation to take home this year’s award was the MalaAgri app, developed by the Solomon Islands-based Youth in Business Association. The idea was born out of the barriers currently preventing young people in the Pacific from kick-starting their own businesses; “We should have more partnership opportunities, especially for young people,” explains Watson Anikwai, one of the app’s developers. In addition to the monetary award, the winners will receive additional technical support, as well as capacity building, mentorship and incubation opportunities. 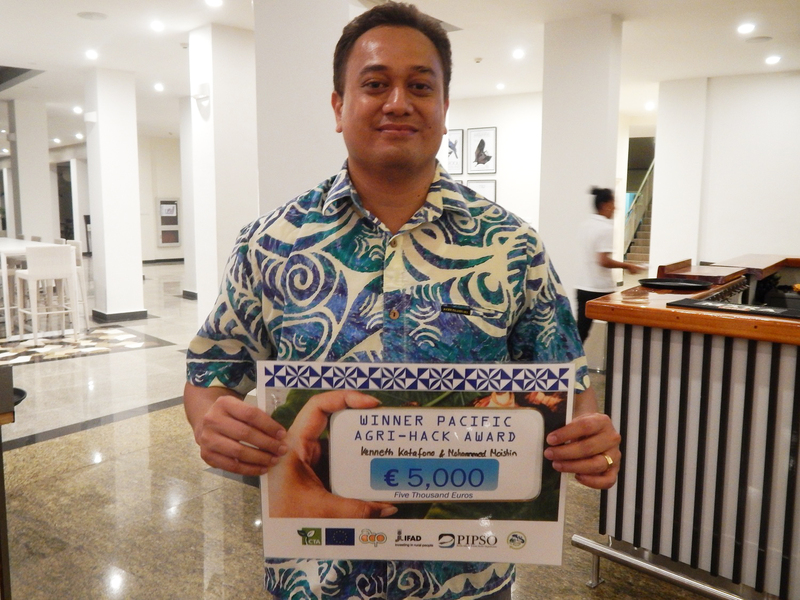 The Pacific 2018 AgriHack Lab aims to identify and assess the potential for upscaling novel or existing ICT4Ag innovations for overcoming challenges in Pacific agriculture, agribusiness and value chain development namely: Communication and market development, Transport logistics and Capacity building of farmers/ SMEs.